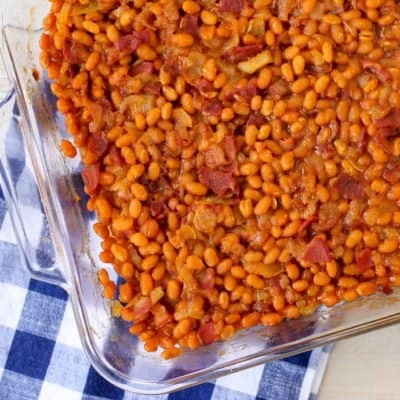 This easy recipe for Baked Beans is a crowd-pleaser! Served hot or at room temperature, they are the perfect side dish for BBQ’s and picnics this summer. 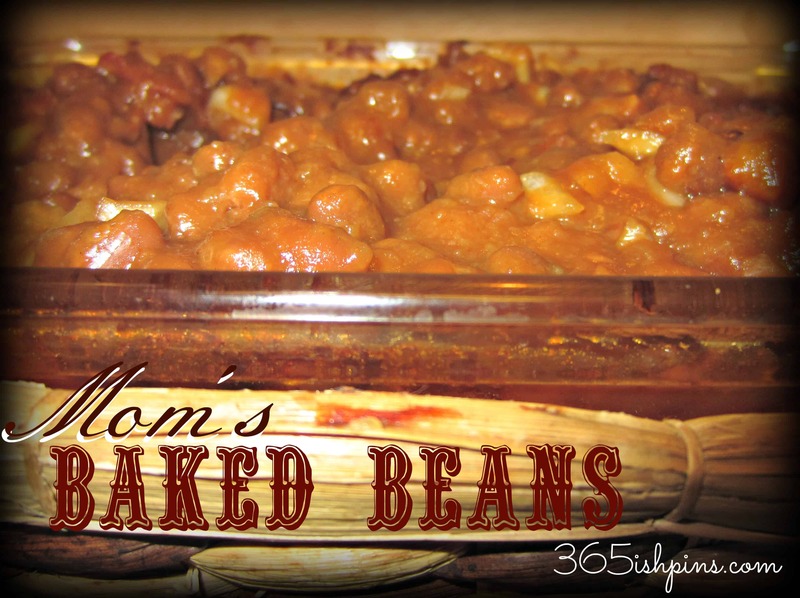 This easy recipe starts with canned beans and then takes them from boring to BBQ ready! 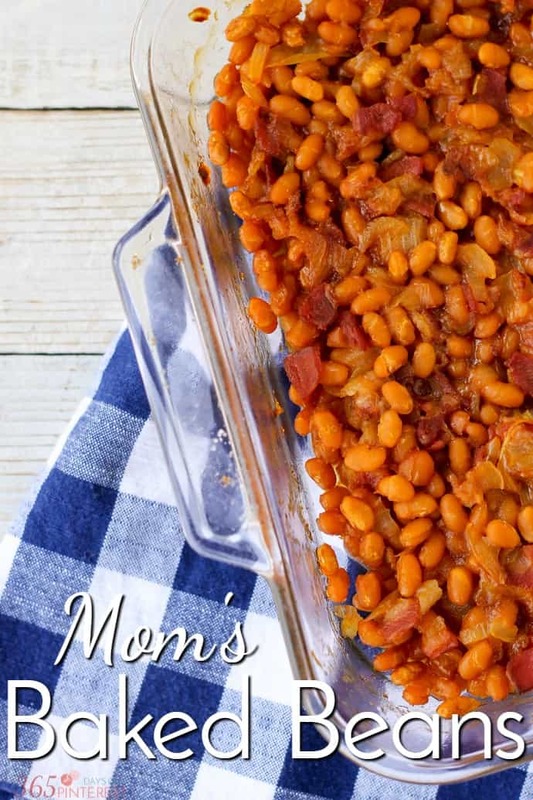 Drain any excess liquid from the cans of beans and then pour into a 9X13" pan. In a skillet, cook bacon and onion together until bacon is cooked but not crispy and onions are transparent. 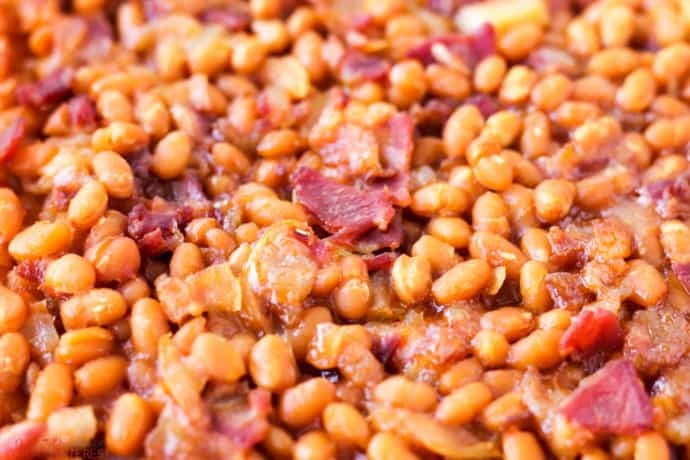 Save some bacon drippings to mix into the beans. Add bacon and onion mixture, brown sugar, ketchup, mustard and Worcestershire sauce to the pan. Drizzle about a tablespoon of the bacon dripping over the pan and stir together. Bake at 350° for about 30 minutes, until bubbly and warm in the center. 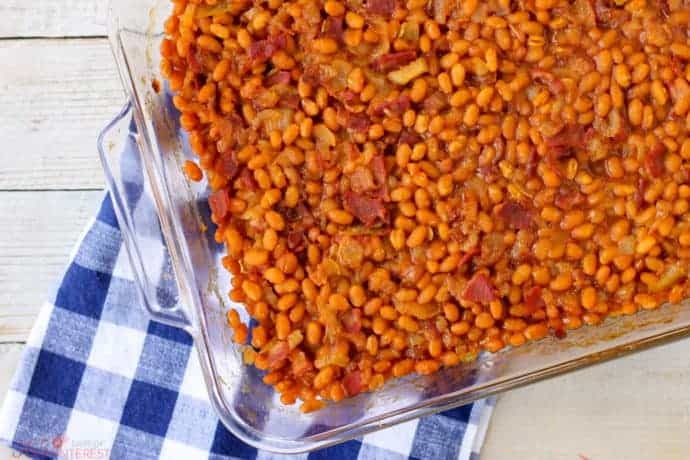 The sweetness of the sugar, the smokiness of the bacon and the tangy flavor of mustard come together to make this the perfect side dish for any BBQ. I’m not exaggerating when I say I never bring home leftovers! This recipe is very similar to the one my mother uses. Thanks for sharing on Saturday Dishes. I hope you’ll return this week when we feature salad recipes.